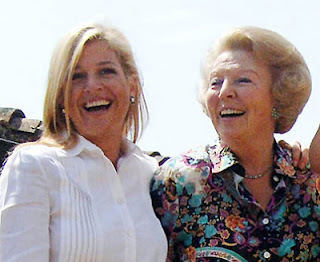 The queen and princess Máxima will be present on March 11 at the kick-off of the festivities celebrating the first 100 year of the Royal Tropics Institute (KIT) there will be an ethnic fashion show, music and dance. At this invitation only celebration, a new documentary called "100 years KIT" will have its first showing. In it a journey will be made to Suriname, Mali and Indonesia where the viewer will learn about the projects, and the work of the Royal Tropics Institute. At the same event the annual report 2009 and a new corporate brochure will be presented. The Royal Tropics Institute is the parent organisation of the Tropenmuseum.